Great customer service is key to success in restaurant profitability and is the way to measure the customer experience and guest satisfaction in your restaurant. Our selection and training of evaluators for your restaurant (s) is based on over 17 years of successful experience providing "mystery shopping" service to many of the most prominent "restaurant, hospitality and service companies worldwide". Our mystery shopping programs are custom tailored for your restaurant concept or concepts, providing mystery shoppers for all types of restaurants and restaurant services, limited service, QSR, coffee shops, full service, fine dining, take-out and delivery restaurants. However you refer to us: Restaurant Shoppers, restaurant shopping services, mystery diners, secret shoppers, shopping restaurants, restaurant shoppers, restaurant bar spotters...we are a vendor of one of the most important services in your restaurant and that is understanding your customers. 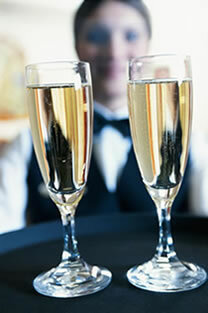 Mystery Shoppers for restaurants, bars, hotels, spas, resorts, also called Secret Shoppers and Mystery Dinrs. Our Customer Service Evaluators are Experienced "Restaurant" Shoppers.